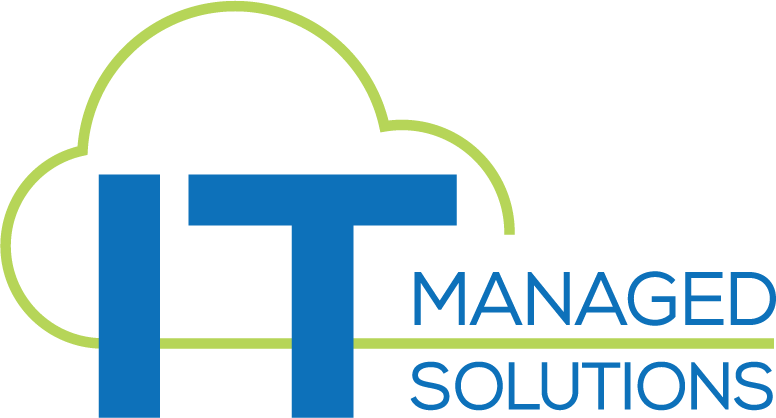 ITMS offers comprehensive cloud application development services along with migration and testing for the enterprise world. ITMS has a team of experienced developers and software engineers for rendering cloud solutions, right from architecture to migration of legacy applications to deployment of new applications for the enterprise. We offer several services related to the leading cloud providers, including Amazon Web Services, Microsoft Azure, IBM SoftLayer and others. ITMS has the capability and capacity to deliver customized enterprise solutions and services designed to meet the overall objectives of the organization allowing the organization to focus upon it’s core business. Our highly experienced professionals can help to design, develop and enhance solutions by addressing a diverse range of critical enterprise issues that enable large enterprises to handle business complexity with ease and help them to concentrate more on strategy and growth. We know how to run a busy help desk. And we’re conﬁdent that we can run yours. ITMS can provide a full or part—time outsourced help desk service, application support center or service desk for your own employees and customers. Companies face relentless pressure from customers to pick up the pace of product rollouts, adapt to ever shifting market changes and global expansion. Business and IT leaders must sync their strategies to achieve the speed and agility required to meet these expectations while, at the same time, remain focused on the cost effectiveness of IT initiatives. It can be challenging to bridge gaps between business units and the IT department and to unite them around a shared vision that powers the business. Corporations must fuse business and technology. ITMS can provide individual architecture services like strategic planning, reference architecture development or architecture governance. Or, if more appropriate, we can help evaluate current capabilities, recommend focus areas for improvement and help devise a plan for filling any gaps that may exist. Companies with holistic application strategies and a seamless integration approach can enhance their competitive advantage as well as reduce implementation cycles and costs and improve quality. Today, end-to-end application development & integration must also consider user experience, mobility and Internet technology integration. Deployment and readiness planning, development management, and reducing cost through a global delivery model are important. Real-time integration to external information sources can enhance enterprise information and provide a robust digital experience for customers. ITMS helps you leverage existing investments and integrate current applications with new technologies. Our offerings span strategy through execution to provide a robust end-to-end applications framework. Through our years of experience, we’ve developed a knack for finding top talent for your most critical IT challenges. We maintain a roster of exceptionally talented developers, engineers and analysts that are ready to seamlessly integrate into your team and get the hard work done. Our goal with our IT staffing is that every candidate we present is someone you are excited to meet and will seriously consider for your team. Every candidate we present has been vetted through our rigorous process so we never waste your time with unqualified candidates. We’re proud of our team and we know you will be too. DevOps is culture, process, technology and people. The DevOps strategy merges many disciplines into a cohesive set of organizing principles. DevOps is a new way of delivering IT systems that promises faster delivery and higher quality. Using both lean and agile methodologies organizations bring IT operations, development teams and quality assurance people together throughout the software lifecycle to create a more collaborative process that, in the end, intends to deliver software and/or services in a faster and more continuous manner. Traditionally, elements of IT have been siloed. DevOps aims to break down those silos to get everyone working towards the same shared goal. ITMS has the experience you seek when moving your organization to a DevOps model. It isn’t easy, but from assessment and transformation to cloud migration, ITMS helps organizations develop a strategic roadmap to achieve success with their DevOps initiative. The structure of any modern business depends upon flexible and sustainable network architecture and infrastructure management. There are many core elements that make up your IT infrastructure which are heavily reliant on the investment put into the network architecture design. Our solutions provide the principles and guidance for network architectural strategy. We take our clients aspirations and business needs into consideration when building IT networks. This vision is the foundation for planning medium and long—term business growth while ensuring that your network is an optimal platform for all business applications, providing redundancy, speed, security and flexibility. The definition of big data holds the key to understanding big data analysis. Like conventional analytics and business intelligence solutions, big data mining and analytics helps uncover hidden patterns, unknown correlations, and other useful business information. According to the Gartner IT Glossary, big data is high-volume, high-velocity, and high variety information assets that demand cost-effective, innovative forms of information processing for enhanced insight and decision making. ITMS can help you capitalize on the value of your data — including real time, historical and predictive insights — to support strategic, tactical and operational deci- sions. Devoting the right resources to performing analytics on relevant data will create a more informed perspective that will help you make better business decisions and produce the business outcomes you desire.